I heard a long time ago from a co-worker that in the Chinese culture baby boys are preferred over baby girls, but I had no idea to what extreme they were willing to go thru to have them. 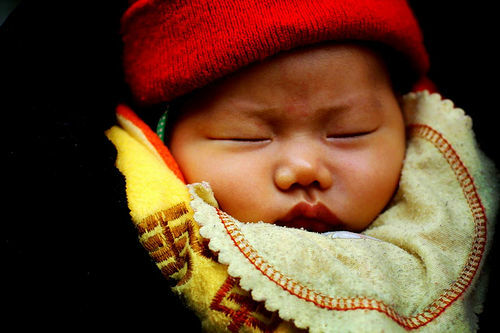 According to state reports, Chinese police have arrested 42 alleged members of a trafficking ring that sold dozens of infants stolen or bought from their rural parents. The ring had separate units to handle the procurement, transport and sale of the children, the Xinhua News Agency reported. It trafficked 52 children over two years, earning the equivalent of nearly $60,000. China has a thriving black market in girls and women, often used as laborers or as brides for unwed sons. A traditional preference for male heirs also drives the market in baby boys, who fetch a considerably higher price than girls. The ring had earned $58,600 from the sale of the 19 boys and 33 girls, Xinhua said.